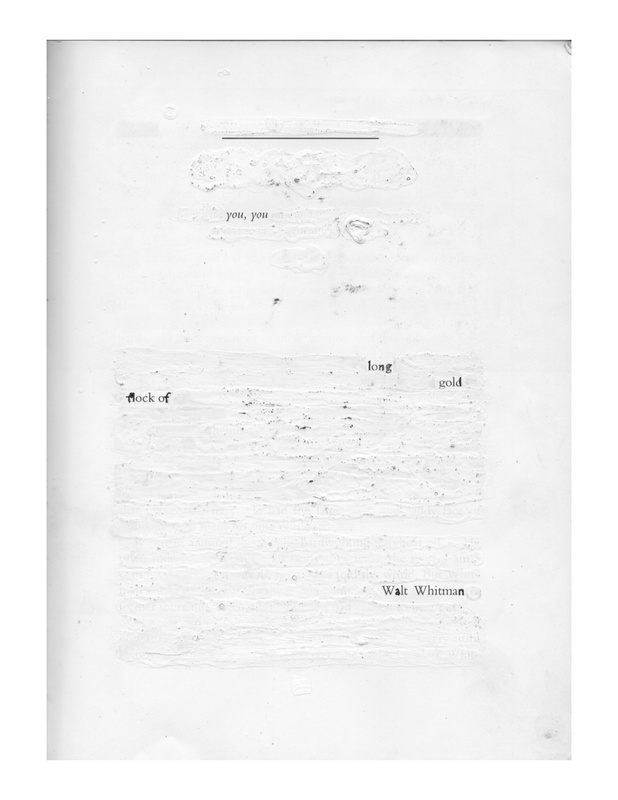 These poems come from a book-length erasure series of a children’s biography, Walt Whitman, written by Catherine Reef in the 90’s. 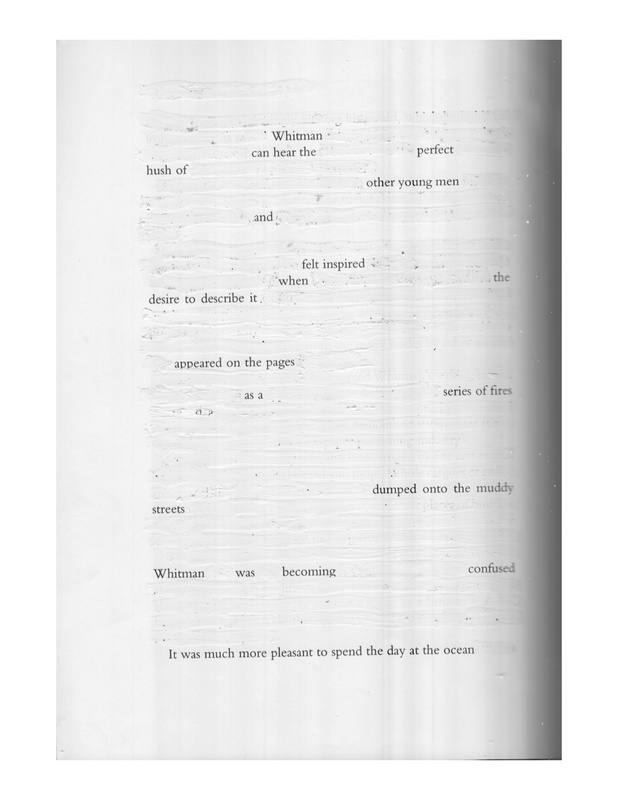 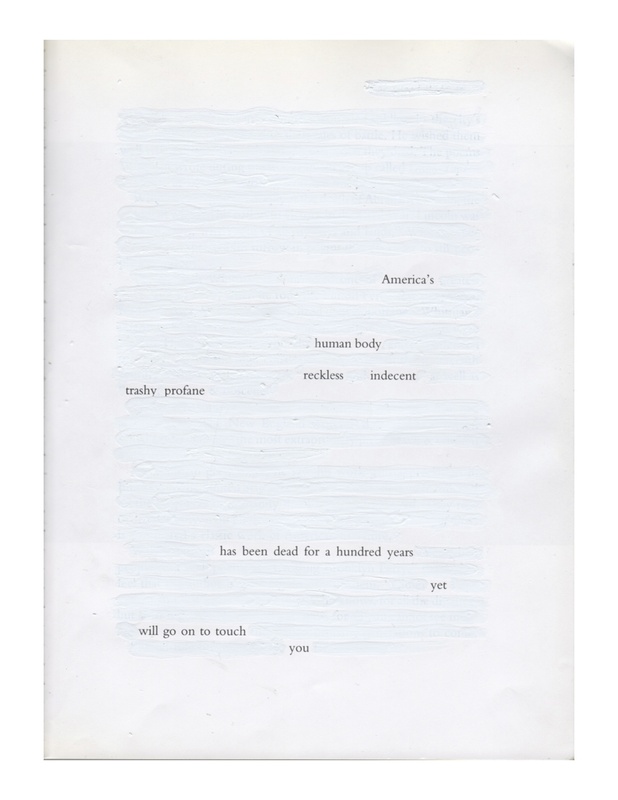 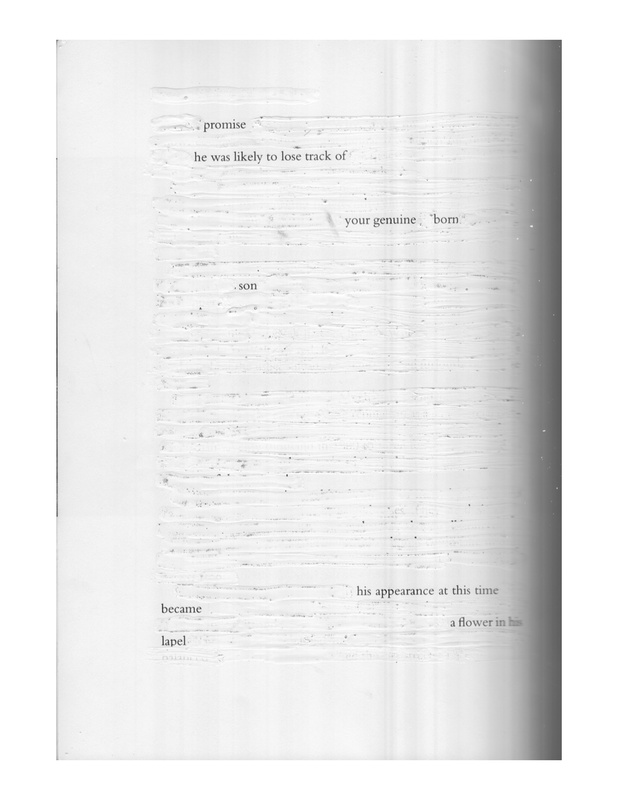 I am interested in the way that things can emerge from texts during the process of making an erasure poem–especially when the text is comprised of the life story of Whitman, whose presence still looms over the contemporary American poetry scene. 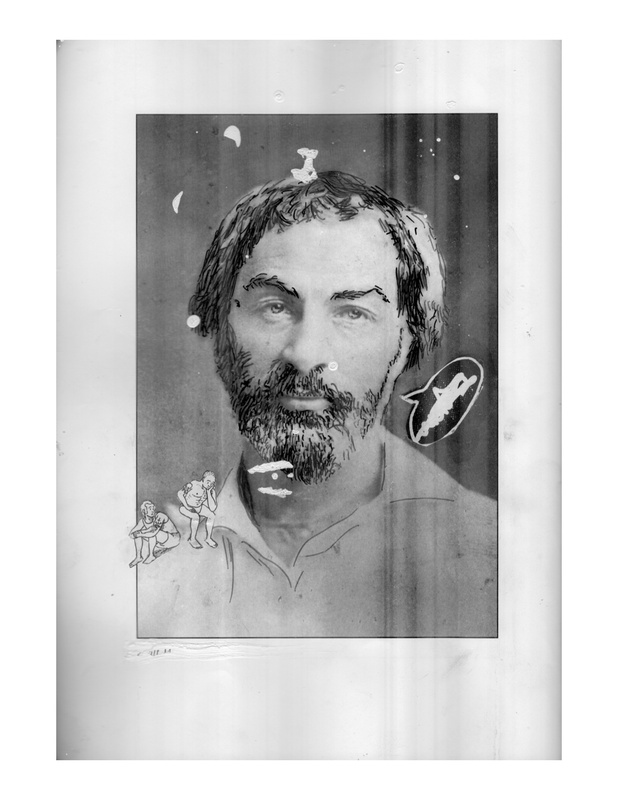 It is a way for me to both show some humor and irreverence toward the idea of a poetic mother or icon such as Whitman, as well as define and explore how he is relevant and important in my own work and the contemporary work that I love to read. 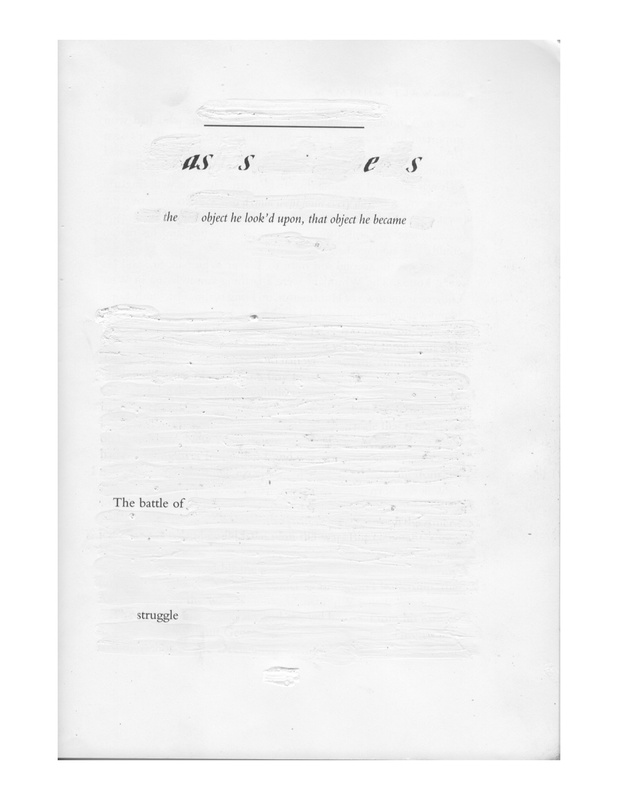 Colleen Louise Barry lives and writes in Amherst, MA, where she is a poet in the UMass Amherst MFA program. 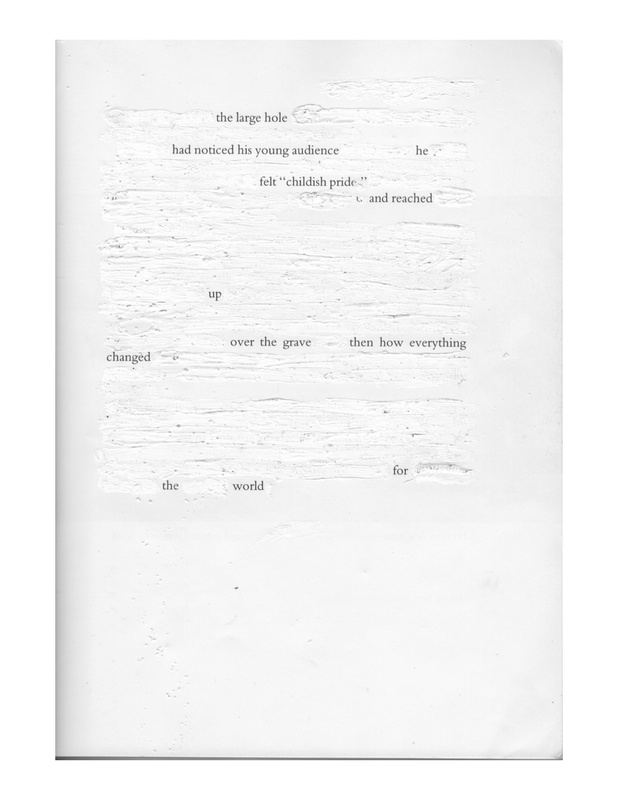 Prior to this, she was a Publishing Assistant at Random House. 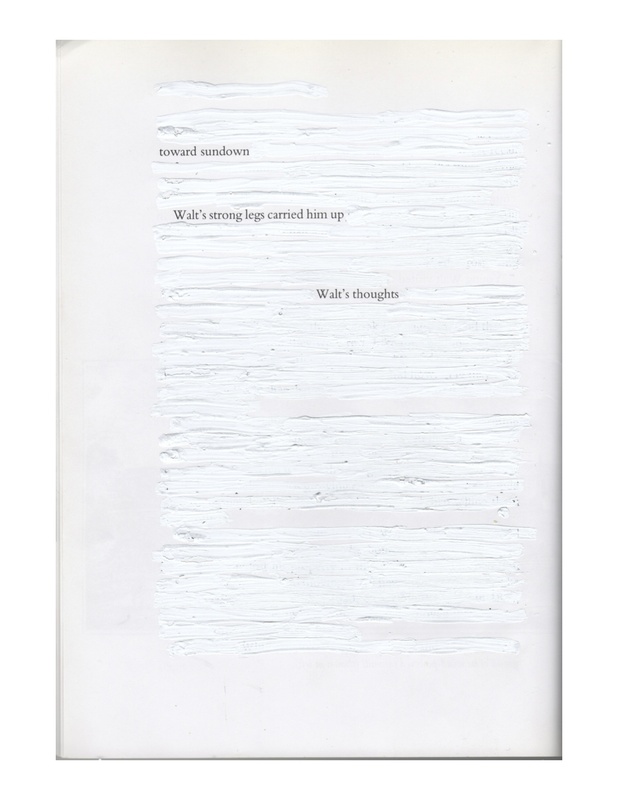 You can find her and her writing at colleenlouise.tumblr.com.